It is a process where a homeowner sells at a lower value than the property worth, in relation to the existing loan, under the condition that the lenders agree to take less on the debt owed. For instance, Mr. Brad borrowed $500,000 to purchase a house a couple of years back. Unfortunately, he loses his job now, and he is falling behind to pay his mortgages. To add salt to a wound, the value of the home has dropped to $300,000 and he has $410,000 debt left to pay. Instead of seeking government-refinancing options, Mr. Brad approaches the lender to let him sell at the current value, and consider the mortgage paid in full. In this case, the process is referred to as Short Sale. Notably, the process is advantageous to the lenders, since it saves them time and other costly expenses involved in repossessing the house via foreclosure, and helps the owner evade negative credit ramification that arises due to the process. 🙋‍♂️ How a Real Estate Agent Helps in Short Sale. 🏦 Why Do Banks Undertake Short Sale? If you are undergoing a rough financial patch, and wish to undertake a short sale there are four explicit steps that you need to take. In this step, you must talk to your lenders to sign off on the process since your disposing the property at a lower price than you owe them. 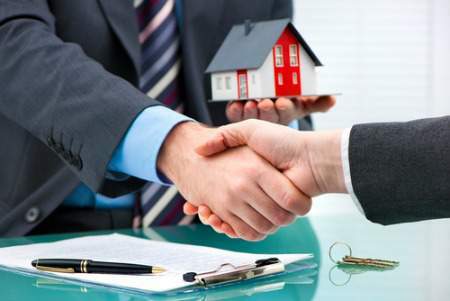 From a professional point of view, in order for any Lender to agree to the process, you should have sufficient proof that a handshake will take place—a ready buyer. Additional paperwork such as the bank statements, asset disclosure, income statements, and copies of bills are also required. Due to the complicated process of Short Sale, you need an experienced real estate agent to close the deal smoothly. When choosing a Real Estate agent, you should be very careful. The most important thing to look for is that they are certified as Distressed Property Experts. Upon hiring them, they will examine the home estimated value and the financial situation before listing the price. In this stage, the real estate agent list the property in question, and finds a viable buyer. Once they get a buyer, they have to submit the offer to the lender for review—can take up to four months. If approved, you can go ahead with Sale as stipulated in the U.S Treasury’s Home Affordable Foreclosure Alternatives. This is the final stage where you move out the house, the new buyer moves in, the money goes to the lender, and your debt is cleared. If you are lucky to have qualified for HAFA, you get $3000 as moving fee. Your real estate agent is the best source of information about the local community and real estate topics. Give Team Garcia NYC a call today at 646-779-7200 to learn more about local areas, discuss selling a house, or tour available homes for sale. As we have mentioned earlier Short Sale is a complicated process and requires an experienced real estate Agent. Below are some roles of a Real estate agent. Delivers purchase contract for listing. Ensures preapproval letter has a current date. Advise on property worth because they comprehend the local real estate market. Most people are scared that banks might turn down their Short Sale request. Truth be told, if the property qualifies, the latter institutions will readily approve. The reason is that the process saves the lender a lot of time involved in repossessing the property. As you all know, time is money, therefore, the process saves the bank a lot of money as well. From a professional perspective, sometimes the time and money involved in following the channels of foreclosure would cost the lender more than the discount they give on the debt owed. Arguably, we have seen Short Sale is far much better than foreclosure. Notably, the first reason the former is better than the latter, you will avoid the stigma that comes with the “F” word. Moreover, you are in control of the person who buys your house. Notably, in short sale, your home sale is handled using the normal process of a willing buyer and a willing seller. The option gives you authority over the sale, by choosing an appropriate real estate agent who will handle the process. As we have mentioned above, unlike a foreclosure, the process goes smoothly without any hiccups this helps you sleep better at night without the stress of being evicted. On the lenders part, it saves them time and money involved in foreclosure. That being said, if you falling short of paying your mortgages and the value of the property is lower than you bought it, then you should apply for a short sale. 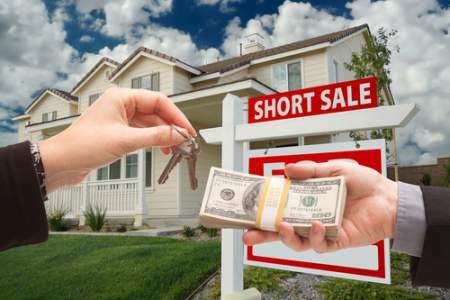 What are the steps involved in a short sale? Why do banks undertake a short sale? Get the answers to these questions and more right here. Why Should I Hire a Buyer’s Agent?